If you need help with the washing of the external windows in your work place, house, rented or business property, get in touch with us. We offer some of the most cost-effective and professional window cleaning services within Notting Hill W11 that guarantee excellently maintained glasses, frames and sills. Our cleaning technicians work expeditiously, effectively and use the latest equipment for sanitising windows. They inspect the property and arrive on time supplied with the necessary machines, tools and equipment for work. Book a free inspection of the windows in your estate and let our staff do the work. You will be impressed by the results. Utilizing some of the most effective and appropriate for the window methods for sanitising, our staff can remove the bird droppings, dust, smears and grime for the external glasses, ledges and sills. They can provide conventional window cleaning with the help of ladders, squeegees, bucket and mops. 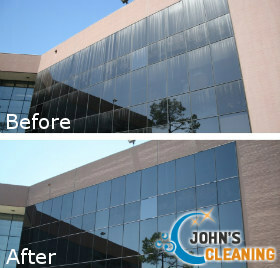 Higher located windows up to the 7th floor will be cleaned with water fed poles that use only purified water, soft brushes and extensions that wash and rinse the surfaces. Glazing on significantly higher buildings will be cleaned with the help of cradles, platforms or scaffoldings. The work will be carried out safely, securely and in line with the requirements of the local authorities. Use our cost-effective window cleaning services to maintain the exterior of your property, located in or near Notting Hill impeccable and attractive. 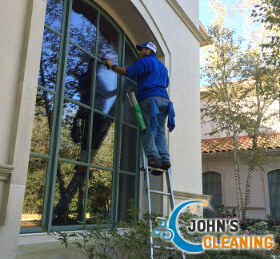 Properly and regularly washed and cleaned windows provide a clear view and good impression of every building. Let our staff implement the window cleaning which you need that is available in W11 Notting Hill during all weekdays and weekends. You will receive an excellent service at a competitive price, carried out at a convenient time. For further information and help contact our phone operators or use our online booking form. They will gladly assist you the best way they can.